"Everything is going according to plan. There has been no reaction from the Russian Federation." 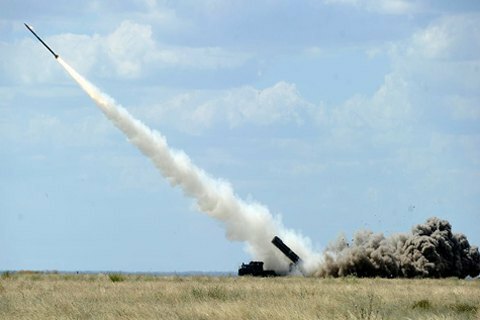 Ukraine has started missile firing exercises in Kherson Region , press officer for the Ukrainian Air Force's 'South' Air Command Volodymyr Kryzhanovskyy said on 1 December on the TV Channel 112 Ukraine. "The firing exercises have started. Everything is going according to plan. There has been no reaction from the Russian Federation. The Ukrainian military is ready for any scenario," Kryzhanovskyy said. "The exercise will involve combat crews of Ukrainian Air Force transport aircraft, anti-aircraft missiles units, communication detachments and unmanned aircraft. We are going to use S-300 anti-aircraft missile systems." added Kryzhanovsky. He stressed that firing exercises pose no violation of any rules, and will not be a threat to the occupied Crimea. "Ukraine is not violating anything. If one looks at the trajectory and the designated area and draws an imaginary line from the peninsula, where the systems will be stationed, to Bulgaria, one can see that the outermost line will pass quite far from the coast of the Crimean peninsula. the missiles' closest approach is maximum 30 km, "he said. On Wednesday, November 30, it was reported that Russia has deployed in Crimea air defense missile system VM-C300. The volunteers of InformNapalm intelligence community have identified the weaponry as anti-aircraft missile system S-300VM Antey-2500, an air defence system with the ability to counter ballistic missiles of small and medium-range (up to 2,500 km). On 24 November, Ukraine issued a NOTAM (aviation notice) to inform providers of aviation services of various states, airlines and crews about possible dangers of the use of the airspace during the above mentioned air firing drills on 1-2 December in the airspace of Crimea in connection with the planned firing. Russian Defense Ministry stated protests. Ukraine's plans stirred outrage in the Russian Federation as its government believes that Crimea is a part of Russian territory. The media reported that Russia has threatened to launch a missile attack on Ukrainian launchers. The Kremlin has stated that the situation "is personally monitored by President Vladimir Putin." Ukraine said Russia's threats would not interfere with Ukraine's plans to conduct missile firing. After that, the Russian air defence forces in the occupied Crimea have been brought into advanced alert state.